If you have a problem with your shower head then it can be very distracting and it can cause a great problem in your day to day life. So whenever you face a problem with your shower head, you should replace it right then. There can be various reasons behind changing the shower head- the current shower head is ugly, looking to save water with a low-flow variety or cutting down on the chemical exposure with a filtering unit. Replacing a shower head is a very simple task. You can do it by yourself and save hundreds of bucks by not calling a professional plumber. If you follow the steps stated below then you can do the work by yourself. As you have decided to replace your shower head, to do so you need to buy a new showerhead for you. There are various shower heads available in the market which are of different types and function. Each of them is best for different functionality. So you need to choose the new shower head very carefully according to your need. After that, you can replace your old one. To remove the old showerhead, you need to follow some steps. Firstly, you need to take your wrench and open it up wide enough in order to grip around the notch of your current showerhead. Then you will have to turn it counter-clockwise so that it becomes loosen up. There is one thing you should make sure and that is to grip your wrench at the very end of the handle in order to get more torque. Otherwise, you will have a hard time to get it off. Another thing is that you should be very careful about the amount of pressure used to tighten and loosen in case of plumbing. When the shower head is loose, you just need to finish removing by unscrewing the showerhead with your hands. 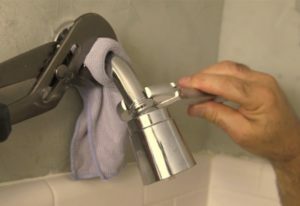 When you are done with removing your old shower head then you might notice some excess material like dirt, leftover rubber gaskets or plumber’s tape around the pipe. You need to remove these. So in order to fresh start, you need to get a rag and remove all the residue and excess materials. 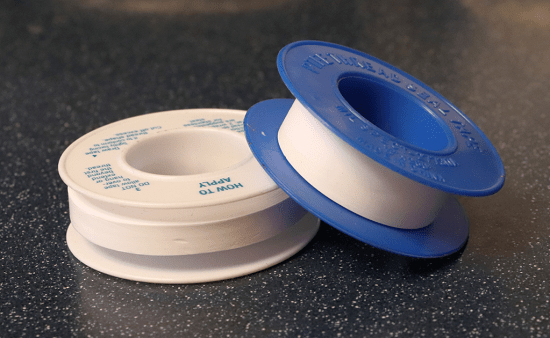 After dealing with the excess materials, you need to wrap the threads of the pipe with a couple layers of the Teflon tape. Although the tape isn’t sticky like what you may be accustomed to it’ll adhere just fine to the threads of the pipe. To smooth out the tape along the threads, you should use your finger. Each and every shower head is different but there is one thing common and that is to hand-tighten the new showerhead onto the pipe by turning clockwise. You should not use a wrench if it is not stated in the instructions. If you ever do need one then you should be careful of not over-tighten it. After turning on the shower head, look for leaks around the seal. If there are none then you are done with your job and your new shower head is ready to use. If you do find a leak then try to tighten the shower head by your hand and test again. So, these are the steps that you need to follow if you want to replace your shower head. You must have understood by now that it is a pretty easy and simple task. So you can also do this simple task and save your money.